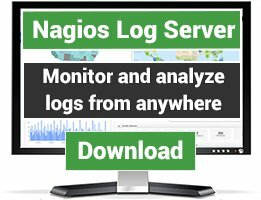 Nagios plugins for monitoring VMWare systems (e.g. ESX). There are 63 Listings in this Category.List your addon or plugin here! A plugin for passive monitoring of vCenter infrastructure via the native VMWare alarms interface. This plugins monitors esxi hypervisor time. Check for any VMs running on orphaned snapshots. Python script which permits you to check your hardware's health when it runs VMware (free) ESXi appliance. Script to verify the NTP client status on ESX hosts. 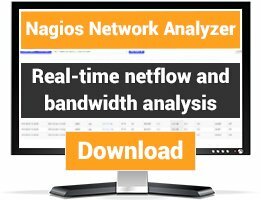 Nagios script for checking the number of existing snapshots and how old are these. Checks the installation of VMware Tools on a VM. A Powershell script that checks the status of the HA Agents of all hosts within a vSphere VirtualCenter environment. Nagios script to Check available size on datastores HP 3PAR Storage virtual volumes. Check diskusage for a guest server on an ESX installation. The check is done through the vcenter/vSphere API, meaning that the guest server's disk usage can be checked without installing/configuring anything. Check CPU, Memory, Network, and VM Status on a VMWare ESX virtual server, via SNMP. Also support for MRTG querying, and listing VMs/interfaces. V2.3 fixes minor problems triggered by the Nagios 2 embedded perl compiler. This perl script check the state of the Virtual Machines defined on an ESX server. Check the capacity/ usage of vsphere Datastores. A collection of checks to monitor VMWare Horizon View. This shell script uses the output of the "vdf" command (published via snmp to avoid check_by_ssh or NRPE) to determine the free space of a given vmfs volume as measured in GB. 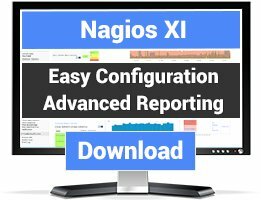 This Python Nagios plugin checks for any failed VM backups on SimpliVity Omnicubes. There's also a second mode in this plugin to check if all VMs have assigned backup policies. A quick Powershell script that checks that one VM is running on VMware Server via NRPE. This is a simple, bash-based plugin to query and/or set the power state of a VMware ESX virtual machine. Full details are at the download site, including help output. Monitor old snapshot within a VMWare data-center. Very basic PowerCLI script for monitoring snapshots in a datacenter. Couldn't find anything similar, so i decided to share it with you. Monitors VMWare backups made with ghettoVCB ghettoVCB ia a great free backup solution for VMWare.